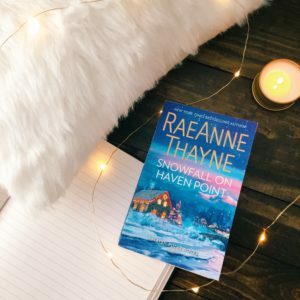 With the holidays coming up, I was looking forward to reading Snowfall on Haven Point. It was the perfect romance for the holidays. I was able to get cozy under blankets with my mug of hot tea and immerse myself in the world of Haven Point. This was my first book in the Haven Point series. I do not recommend starting here, even though it can be read as a stand alone, since there was so much that went on in the previous books that is mentioned in this book. Fortunately, the author rehashed most of it so I wasn’t completely lost, but I do wish I had read the books previous. Besides that, Snowfall on Haven Point was still a highly entertaining read. I am always curious about the plot in a romance novel, since they are rarely only romance. There was a mystery to solve in this book and thank goodness the main male character is a sheriff who was able to get the job done. Marshall had a tough exterior, never needed/wanted anyone’s help, so it was heartwarming to see him melt under Andie’s care and see him interact with her children. Despite the traumatizing experience Andie and her children faced at the hands of her stalker Andie was still strong and didn’t take Marshall’s crap. He was real moody half the time, but he was the best around Andie’s children. I adore reading about children in books. It makes for a more realistic experience. I definitely want to go back and read the Haven Point series from the beginning. I fell in love with the characters mentioned in the previous books, especially Marshall’s sister Wyn. If you enjoy sweet, heartwarming, contemporary romance I would recommend Snowfall on Haven Point. I received this book in exchange for a honest review. 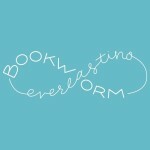 This does not affect my opinion of the book in anyway.